A feeding trial was designed to assess the effects of dietary protein and lipid content on growth, feed utilization efficiency, and muscle proximate composition of Solea aegyptiaca juveniles. Eight diets were formulated (4 protein levels; 40, 45, 50& 55% at 2 lipid levels; 8, 12%). The results showed that growth performance in terms of weight gain, specific growth rate, condition factor, feed conversion ratio, protein efficiency ratio and net protein utilization were much higher for fish group fed on a diet contained 45% protein at 12% lipid than the rest of experimental groups. The feed intake of experimental fish tended to reduce with rising dietary lipid levels. 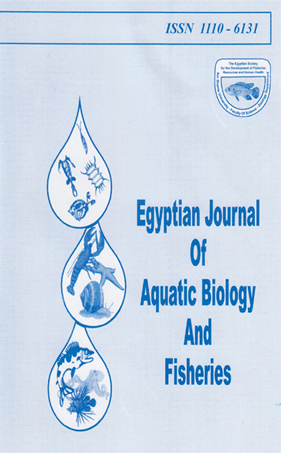 No significant differences in Solea aegyptiaca for digestibility coefficient and body chemical composition were observed. The body content of lipid and liver enzymes (alanine aminotransferase and aspartate aminotransferase) activities were positively correlated with dietary lipid levels. The present results pointed to the diet containing 45%protein and 12% lipid with 22.5 MJ/kg-1 had a protein-sparing effect and was optimal for Solea aegyptiaca juveniles.